Browse our extensive library of resources to help you get most out of your current or future Allworx business phone system. Allworx® products are not vulnerable to the vulnerabilities announced by the OpenSSL Security Advisory of February 26, 2019. Get the full specs on the Allworx Verge 93xx IP phone series. Allworx® products are not vulnerable to the vulnerabilities announced by the OpenSSL Security Advisory of March 27, 2018. Allworx delivers on cost savings and functionality as a Nortel replacement. An overview of Allworx software products: Reach for Android and iOS, Interact for Windows, and View call reporting. Learn about Allworx View and View ACD. This bulletin summarizes the security best practices to prevent security compromises. Get the full Allworx Connect server specs. Learn about Allworx Reach and Reach Link. Get the full specs on the Allworx 92xx IP phone series. Learn about Allworx Interact Professional and Interact Sync. Habitat for Humanity sees a 3X return on investment after implementing Allworx. Rosedale Medical Group, a primary care medical practice, improves patient experience and operational efficiency. This End User License Agreement (EULA) is a contract between Allworx and all users of any Allworx software, including that embedded in Allworx servers and phones. Easily create white paper labels for Allworx 9224 IP phone. Easily create black paper labels for Allworx 9224 IP phone. Sams Fischer Packard & Schuessler, LLC helps its staff lawyers stay connected with their clients using Allworx® Reach™. This paper-based installation template guides you with spacing when wall-mounting an Allworx 9224 IP phone and Tx 92/24 expanders. Ocean Beach Hospital's phone system goes down middle of the night and gets a new Allworx system overnight. Easily create black paper labels for Allworx 9212 and 9212L IP phones. Access Desi Software option for Allworx 9112 and 9212L IP phones. Additional fee required. Easily create white paper labels for Allworx 9112 IP phones. Learn how to set up and use Allworx Verge 9312, 9308, and 9304 IP phones. Access Desi Software option for Allworx 9224 IP phone and Tx 92/24 expander. Additional fee required. Easily create white paper labels for Allworx 9212 and 9212L IP phones. Learn how to add a Verge 9318Ex Expander unit(s) to a Verge 9312 IP phone. Learn how to set up and use Allworx 9224 IP phones. Learn how to add an Allworx Tx 92/24 expander to Allworx 9224 IP phones. Learn how to set up and use Allworx 9212 and 9212L IP phones. Learn how to set up and use Allworx 9204 and 9204G IP phones. Read the two-page overview of how to get started with your Verge IP phone. A quick reference card for using Verge IP phones. Learn how to set up and use Allworx 9112 and 9102 IP phones. A quick reference card for Allworx 92xx IP phones. Learn about the My Allworx Manager features included in Allworx System Software 8.3. Learn about the My Allworx Manager features included in Allworx System Software 8.2. Learn about the features included in Allworx System Software 8.1. Learn how to set up and use Allworx 9202 IP phone. 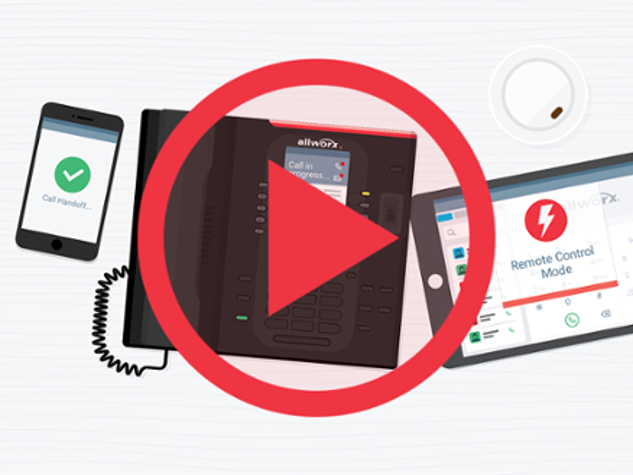 Learn how to set up and use Allworx 9202E IP phones. Learn about the features included in Allworx System Software 7.6. Learn about the features included in Allworx System Software 7.5. Learn about the features included in Allworx System Software 7.4. Install the latest version of Allworx Interact and Interact Professional, and access the release notes, user guide, and FAQs. Install the latest version of Allworx View and View ACD, and access the release notes, user guide, and FAQs. Learn about the features included in Allworx System Software 8.0. Learn about the features included in Allworx System Software 7.7. Learn about the features of Allworx Mobile VM for iOS, formerly called iAllworx. Learn about the features of Allworx Call Assistant 2.5. Learn about the features of Allworx Call Assistant 2.4. Learn how to install and use Allworx TAPI TSP Driver. Allworx® products have no Meltdown and Spectre vulnerabilities. Allworx® products are Not Vulnerable to the OpenSSL security advisory of December 7, 2017. Install the latest version of Allworx Reach and access the release notes, user guide, and FAQs. Learn about the features of Allworx Mobile VM for Android, formerly called Mobile Link. Allworx® products and the Allworx portal website are Not Vulnerable to the OpenSSL security advisory of January 26, 2017. Allworx® products and the Allworx portal website are Not Vulnerable to the OpenSSL vulnerabilities that were announced on Nov 10, 2016. Allworx® products are Vulnerable to one or more of the vulnerabilities announced by the OpenSSL Security Advisory of Sept 22, 2016. Allworx® products are Not Vulnerable to the vulnerabilities announced by the OpenSSL Security Advisory of May 2, 2016. Allworx® products and the Allworx portal website are Not Vulnerable to the OpenSSL vulnerabilities that were announced on March 1, 2016. Allworx® products are vulnerable to one of the vulnerabilities announced by the OpenSSL Security Advisory of November 2, 2017. Allworx® products are Not Vulnerable to the OpenSSL vulnerabilities announced on February 16, 2017. Allworx® products and the Allworx portal website are Not Vulnerable to the OpenSSL vulnerability CVE-2015-3196 that was announced on Dec 3, 2015. Allworx® products and the Allworx portal website are Not Vulnerable to the OpenSSL vulnerability CVE-2015-3194 that was announced on Dec 3, 2015. Allworx® products and the Allworx portal website are Not Vulnerable to the OpenSSL vulnerability CVE-2015-3193 that was announced on Dec 3, 2015. Allworx® products and the Allworx portal website are Not Vulnerable to the OpenSLL vulnerability CVE-2015-3197 that was announced on Jan 28, 2016. Allworx® products and the Allworx portal website are Not Vulnerable to the OpenSSL vulnerability CVE-2015-1794 that was announced on Dec 3, 2015. Allworx® products and the Allworx portal website are Not Vulnerable to the OpenSSL vulnerability CVE-2015-3195 that was announced on Dec 3, 2015. Allworx® servers are Vulnerable to the OpenSSL vulnerability CVE-2016-0701 that was announced on Jan 28, 2016. Other Allworx products and the Allworx portal website are Not Vulnerable to this vulnerability. Allworx® products and the Allworx portal website are Not Vulnerable to the "Heartbleed" attacks that were publicized on Apr 7, 2014. This bulletin describes Allworx's testing and support policies with certain applications when running on Windows XP that's no longer supported. Allworx® products and the Allworx portal website are Not Vulnerable to the OpenSSL vulnerability CVE-2015-1793 that was announced on July 11, 2015. Multiple versions of Allworx server software releases are affected by a vulnerability when receiving a malformed TCP packet.